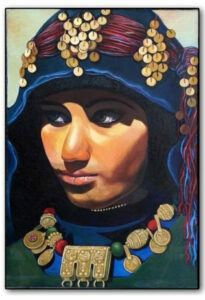 The history of Amazigh Arts is diverse and complex. 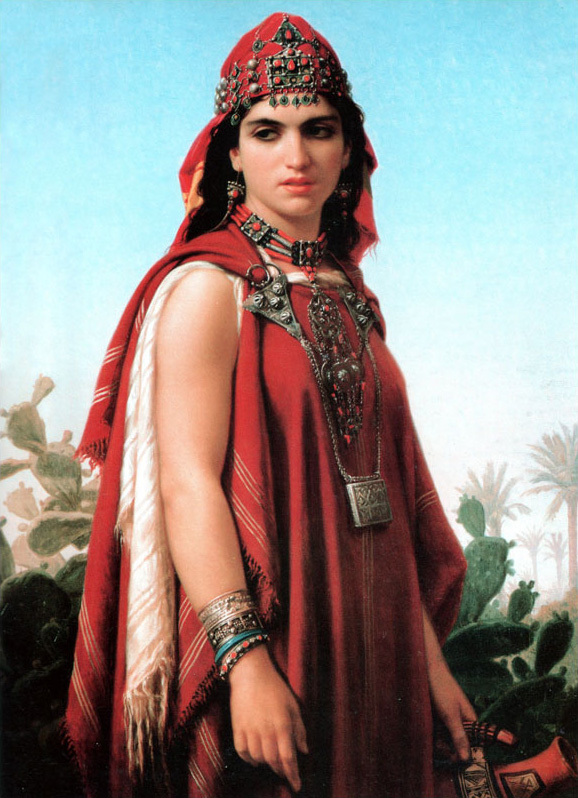 After of a millennia of the North African Amazigh peoples being invaded by the Romans, Jews, Portuguese, Arabs, French and Spanish… it is hard to tease out what is purely Amazigh. Based on the invasions and mixing of the diverse cultures certaily the mix has created wonderful works to study and admire. Amazigh art incorporates geometric shapes (triangles, lozenges, diamonds) and abstracted eye and hand motifs that protect against the evil eye. 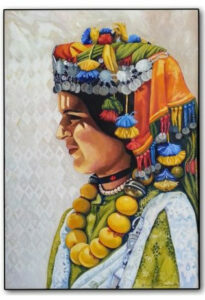 Despite common motifs and color schemes, there is artistic variance in Amazigh culture and stylistic characteristics differ depending on sub-regions (e.g. Ait Khabbash in southern Morocco), villages (e.g. Taghzuth in Morocco), and other smaller subsets of Amazigh people (e.g. 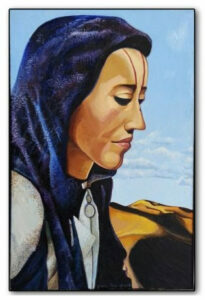 Tuareg). 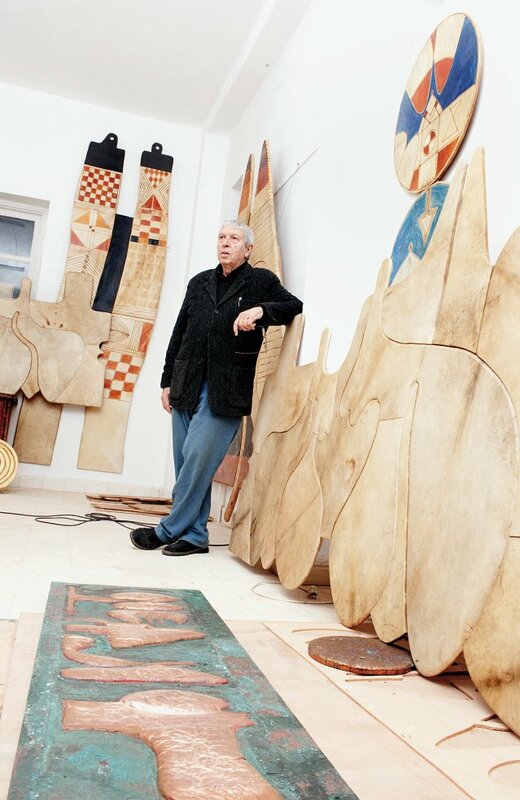 Noted collections of Amazigh art are featured in the Bardo National Museum and Musée des Arts et Traditions Populaires, both in Algiers; Musée National Bardo in Tunis; Musée Dar Batha in Fez; Musée Dar Si Saïd in Marrakesh; and the Musée Dar Jamai and Musée du Quai Branly in Paris. In 2008, the Peabody Museum organized an exhibition on Amazigh art entitled Artistry in the Everyday,which described Amazigh art as “based on the embellishment of everyday art” (Bernasek 2008). 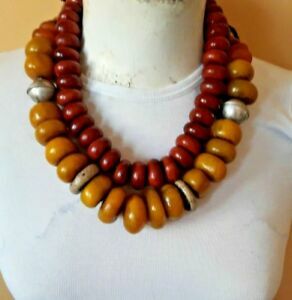 While much of the textiles, carved wood, and other objects created and used by Amazighen embellish the household, brides wear silver and amber jewelry, and commonly wore it to mark their marital status until the 1980s. The Stanley Museum of Art is the only museum in the world with a complete Ait Khabbash bridal gown. Amazigh weavers typically use a fixed heddle loom to create wool fiber pieces that are used as clothing, blankets and floor coverings. 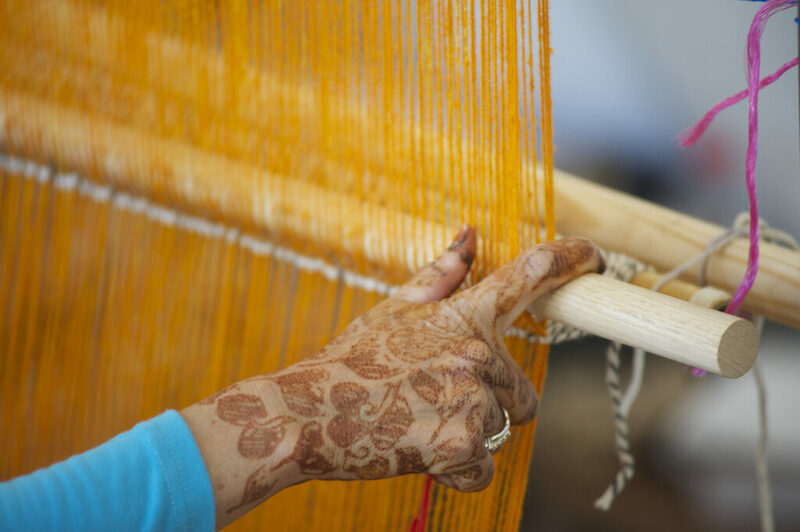 When the Amazigh lived in the desert, women wove long, narrow panels that they sewed together to create wool tents. This ceased for many groups in the 1960s, including the Ait Khabbash, one of the largest Amazigh groups in southern Morocco (Becker 2006). Ait Khabbash women often weave tents from undyed goat wool and floorcoverings and pillows from sheep’s wool, usually dyed red, green, yellow and black. 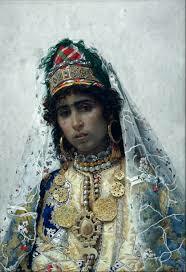 Ait Khabbash women wear indigo-dyed or black head coverings that they embroider with brightly colored motifs and sequins, incorporating a visual dichotomy in which dark and light colors appear side by side. 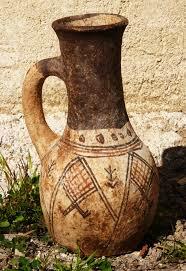 Most of the motifs consist of triangles, plants and flowers, which serve as fertility symbols (Becker 2006).